Wooden Novelty Sign, Why Fit In? 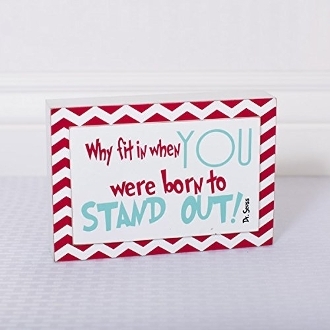 Why fit in when you were born to stand out! - Dr. Seuss. This wooden sign is perfect for any child's room, nursery, or classroom. Hangs on wall, or can be stood on side.